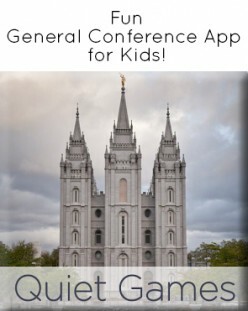 My toddler is a little ball of fun and loves to keep himself busy. Unfortunately, sometimes being “busy” means making a huge drawing with dry erase markers on the wall (Yes, that really happened). Luckily, I have found that keeping Smiley Man busy learning shapes and doing shape activities, is a great way to keep him from destroying things. The shapes activity I am sharing today is very simple. All you need are some popsicle sticks, possibly paint or markers, and a printer to print off some Popsicle Stick Shape Pages. These shape pages only include the shapes that have straight lines. That means there is no circle, oval, or heart shape page. I wanted my popsicle sticks to be colored because Smiley Man is still learning his shapes and I wanted the colors to act as a guide for him. This way, he knows which popsicle sticks and how many to use to make each shape. If you are doing this activity with an older child and it is more of a review, the colors are unnecessary. In this case, you can print off the black and white shape pages. First, paint (or color with markers) your popsicle sticks the correct color. Next, print off the popsicle stick shape pages. If you are doing this with a young toddler or are just starting to teach shapes, start with only one shape at a time. 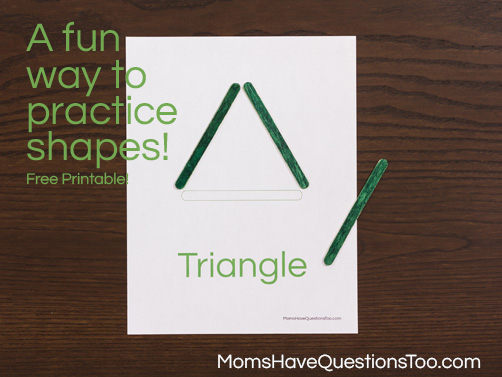 Place the shape page and the popsicle sticks needed on the table. Have your toddler pick up the popsicle sticks and put them in the correct place on the shape page. Once the shape is complete, talk about the attributes the shape has. Next, clear off the page and put another shape page on the table with the correct popsicle sticks. Continue until you have done all the different shapes. 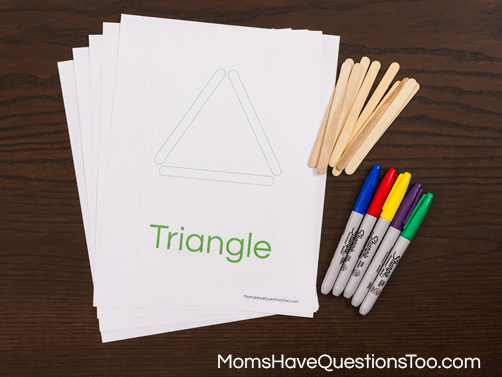 When you feel like your child understands the process very well, try putting two shape pages with the correct popsicle sticks on the table at the same time. This will give your child the chance to distinguish between two shapes at once. If your child is older and knows his shapes well, put all the shape pages with all of the popsicle sticks on the table at once. You can also remove the shape pages completely and just use the popsicle sticks to make the shapes.